Diwali special halwa. Different from the usual sweets but quite tasty. 1. Soak the gasa gasa in water for 5 hours and drain the water completely. 2. Add milk and grind to a fine paste. 3. Heat little ghee in a pan. 4. Add the ground paste and jaggery. 6. Add the remaining ghee and stir well ensuring it does not stick to the bottom. 7. Remove when it reaches a halwa consistency. 8. Transfer to a greased plate. 9. Garnish with the cashewnuts. 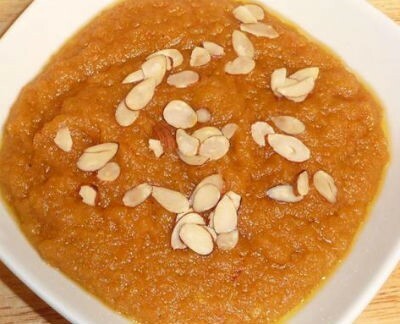 Feel free to comment or share your thoughts on this Gasa Gasa Halwa Recipe from Awesome Cuisine.